So my old lady canning efforts continued this past weekend. I made tomato jelly for the second year. I was so excited for my garden to finally put out enough tomatoes at once to make this possible. This stuff is SO GOOD! Since Saturday, the tomatoes continue to ripen at a crazy pace. So it looks like my next canning adventure may not be long off! This year I made a small modification to the recipe, because I forgot to buy a lemon to zest. Ha! So orange zest it was! And it turned out to be a wonderful change. To prepare tomatoes: Wash ripe tomatoes. Scald, peel, and chop tomatoes. Place chopped tomatoes in a saucepan and heat slowly to simmering, stirring constantly to prevent sticking and burning. Cover and simmer for 10 minutes, stirring occassionaly. Take cooked tomatoes and place in a blender. Pulse until no chunks remain. Measure 3 cups of the cooked tomatoes into a large saucepan. Add orange rind, allspice, cinnamon, and cloves. 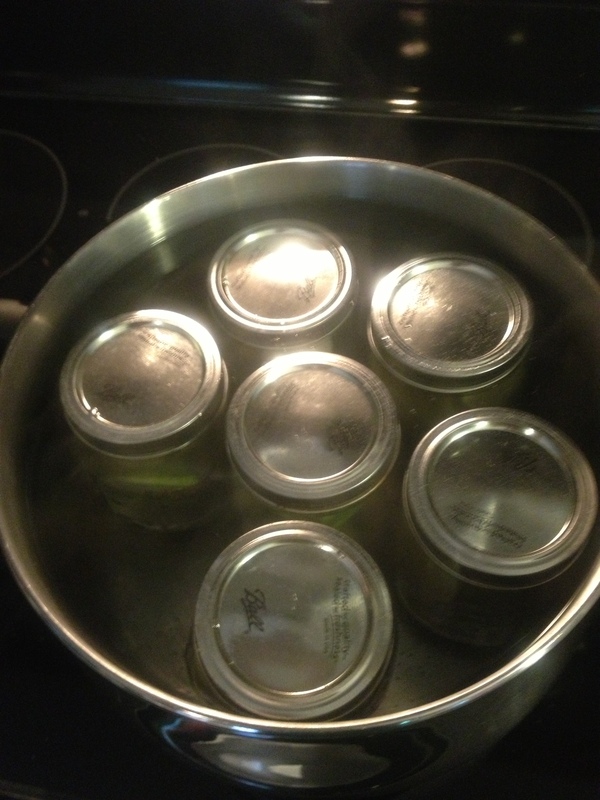 To make jelly: Sterilize canning jars. Add lemon juice to the prepared tomatoes in the saucepan. Measure sugar and set aside. Stir powdered pectin into tomatoes. Bring to a boil over high heat, stirring constantly. At once, stir in sugar. Stir and bring to a full rolling boil that can’t be stirred down. Then boil hard for 1 minute, stirring constantly. Remove from heat. Skim off foam. Pour hot jelly into hot jars, leaving 1/4 inch head space. Place the lids on tightly. Process in a Boiling Water Canner (ie. big pot that allows water to be filled above the jars). 5 minutes. My jars sealed in about 30 minutes. And the jelly tasted delicious. Let me know how yours comes out! Eating: Caprese salad and mushroom soup. Random fact: I love the show Dexter. I can’t believe it’s the last season! Matt and I have been laughing at the fact that my hobbies and interests range from young, fun, hip and sometimes tom-boyish (ie. my love of beer, rock concerts, sports, the outdoors, fitness) to old lady (gardening, baking,canning….I know how to crochet, etc.) 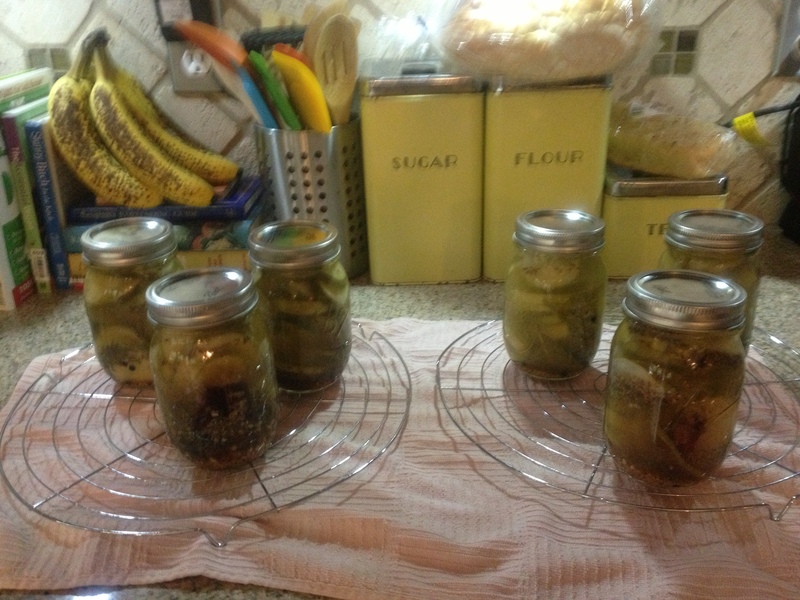 And this weekend I added another notch in my old lady belt; I made pickles! To make it even more home-ecish, I made them from cucumbers that came from our garden. And I can’t even describe how damned excited I am about all of this! I’m really not sure how I’m going to wait the suggested 3 weeks to sample our wares. I’m probably going to look at those pickle jars every single day just to see if I can visually surmise how truly amazing they will be! 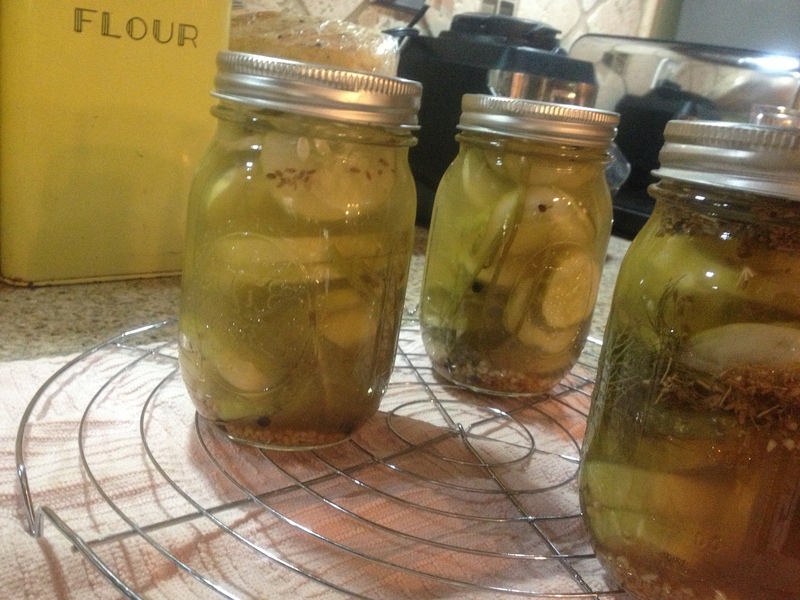 I suppose I should wait until we try them to provide you with the recipe, but hey, I have pickles on the brain today. So that’s what I’m going to write about! Slice ends off cucumbers then slice in 1/4 inch rounds. Put the slices in a large pot and cover with 2.5 quarts of water. Add 3 tablespoons of salt and stir until the salt is dissolved. Cover and let stand for about 12 hours. Prepare the jars by filling the jars and a large pot with water. Bring to a boil. Cover and reduce heat to low to keep the jars hot. In a pot combine the 1.5 cups of apple cider vinegar, the 1.5 cups of white vinegar, 2 tablespoons of sugar and 2 tablespoons of salt. Bring to a boil. 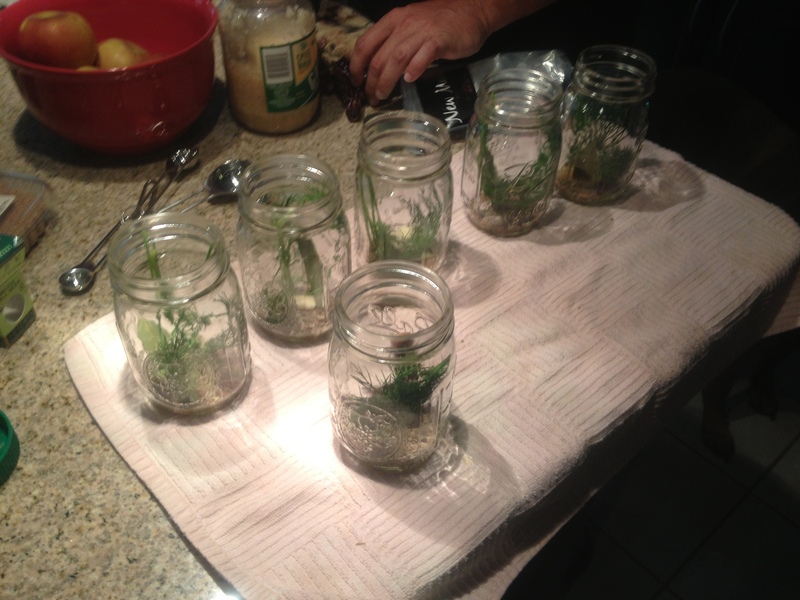 Into each of the 6 pint jars, add 1 teaspoon of dill seeds, 1 teaspoon minced garlic, 1/2 teaspoon of mustard seeds, 1 bay leaf, 1-1.5 sprigs of fresh dill, 1 garlic clove, and 3-6 peppercorns. 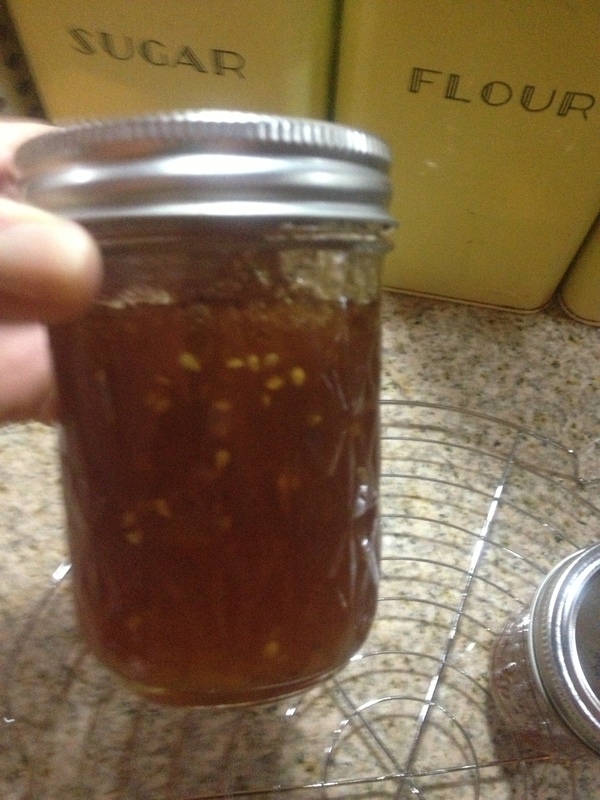 We also added a dried chili to two jars for a spicier version! 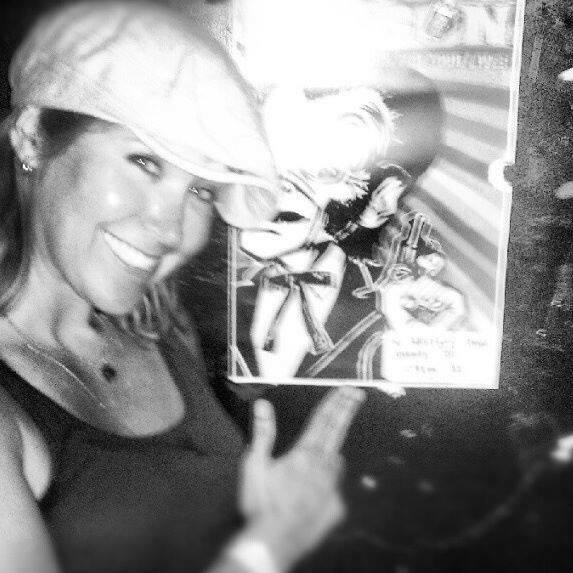 Notice Jovi in the background. 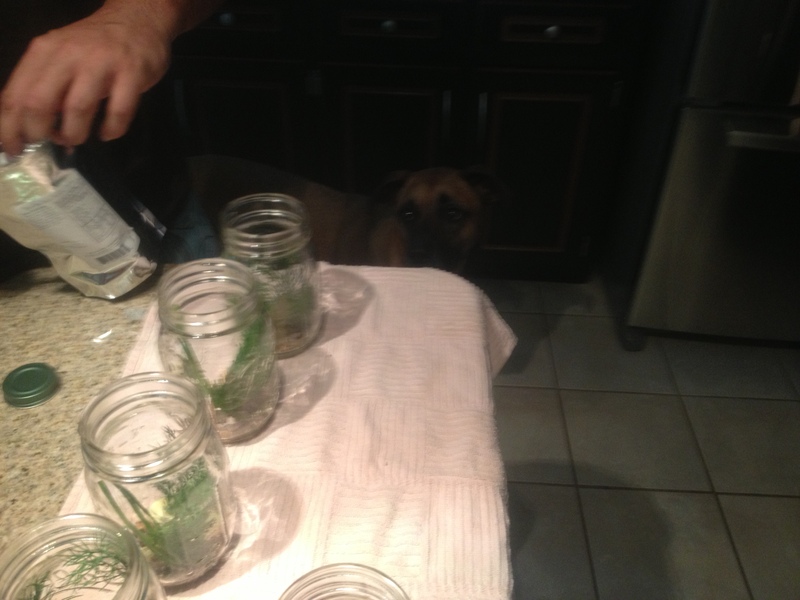 She supervised the entire process and was unhappy to report that no cucumbers hit the ground. Add hot vinegar mix to each jar leaving 1/2 inches of space at the top. Seal and place back in a large pot of water. Water should just cover the tops of the jars. Bring to a boil and boil gently for 10 minutes. Someone please buy me a canning pot for Christmas. Carefully remove jars and set aside to cool. Check seals after 24 hours. Wait 3 weeks and TASTE your garlicy pickle goodness! 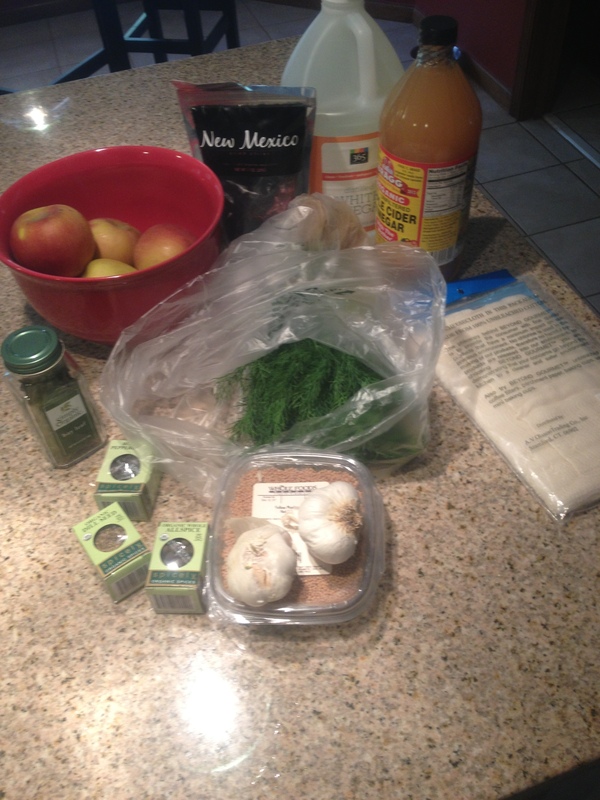 They appear to be delicious…time will tell. I will let you guys know how they taste in a few weeks! Do you have a great pickle recipe? Share below! Random fact: I love garlic. A lot. If I were in culinary school I would be chastised for overwhelming my food with garlic. 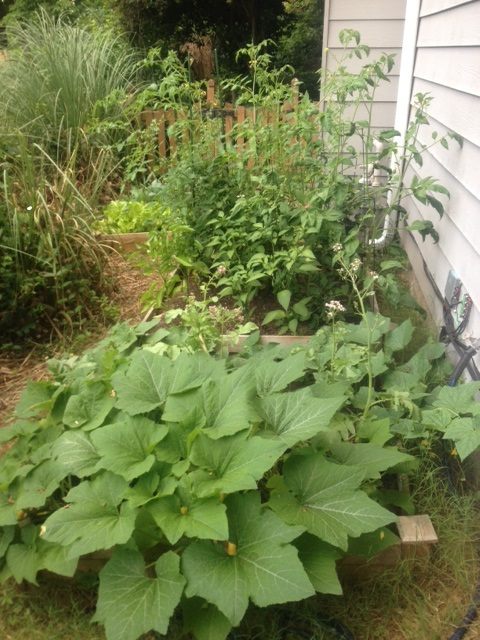 A Suburban Garden: Tomatoes and Squash and Cukes….Oh My! We started by ripping up the insane amount of weeds and growth that had taken over the area. What a mess! Then the ground needed to be leveled and cultivated. For this, I ended up renting a tiller or as Bee called it a “ground chopping tool”. Here is the most macho picture Bee has taken in his entire life. 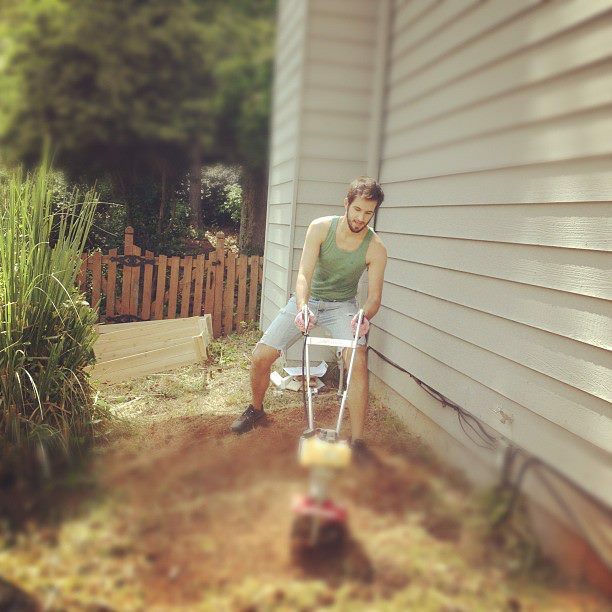 Look at him just chopping that ground! It looks pretty meager, but I was very excited! 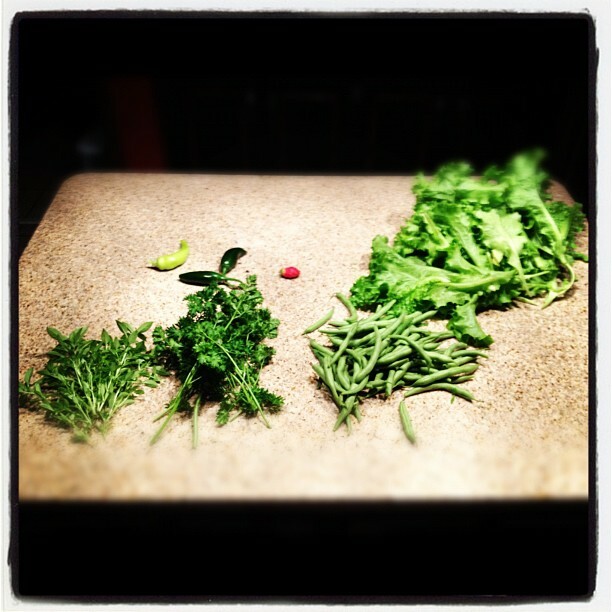 By the end of the season, that little garden had produced an insane amount of veggies. I ate so much squash I was sick of it. I canned some delicious Tomato Jelly (sounds odd if you’ve never tried it, but it’s amazingly yummy) and some tomatoes, peppers, and onions for sauce use later. I gave away more peppers than I could count. 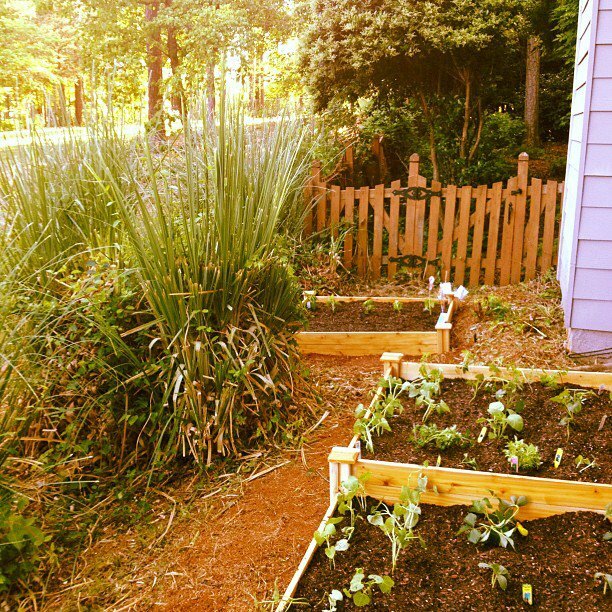 The experience was so rewarding that I couldn’t wait to plant this year’s garden. Don’t plant so many peppers. I think I had 5+ plants last year. That’s a lot of peppers for one person! Space out the plants a bit more/don’t plant so much. The garden got unruly last year! Stuff was everywhere. Beans are a waste of time in a garden this small. I wasted so much space on beans and got enough for roughly one and a half meals. Tomato plants get crazy and take up far more room and need far more bracing that you anticipate. This year planting took all of an hour. Matt joined me for the task this year and was relived to not have to till anything. 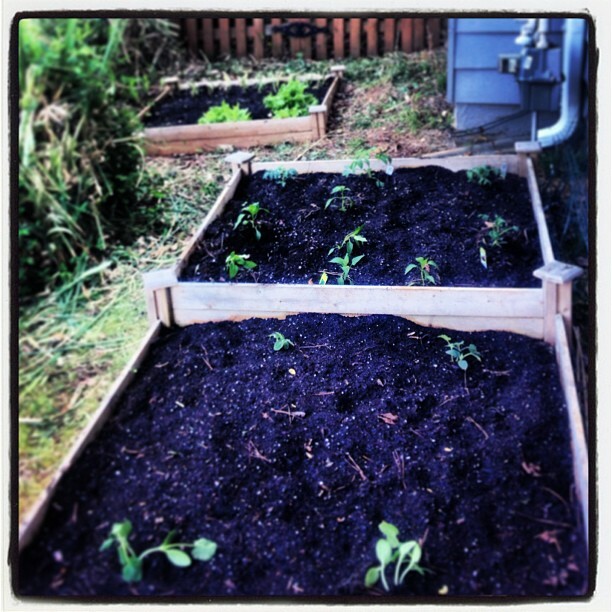 We weeded, added some additional soil, and put down a bit of fertilizer. 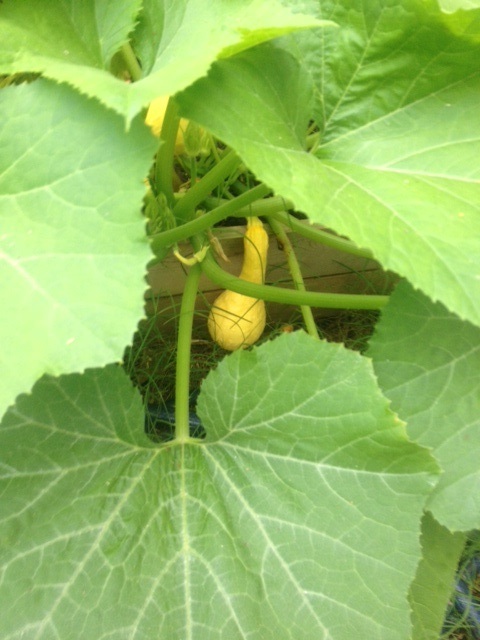 These squash were two inches long two days before this picture. When the tomatoes start to ripen, we’re going to have to be ready to act quickly! There must be no less than 100 green tomatoes out there just bidding their time. Salsa, marinara, and jelly are planned. 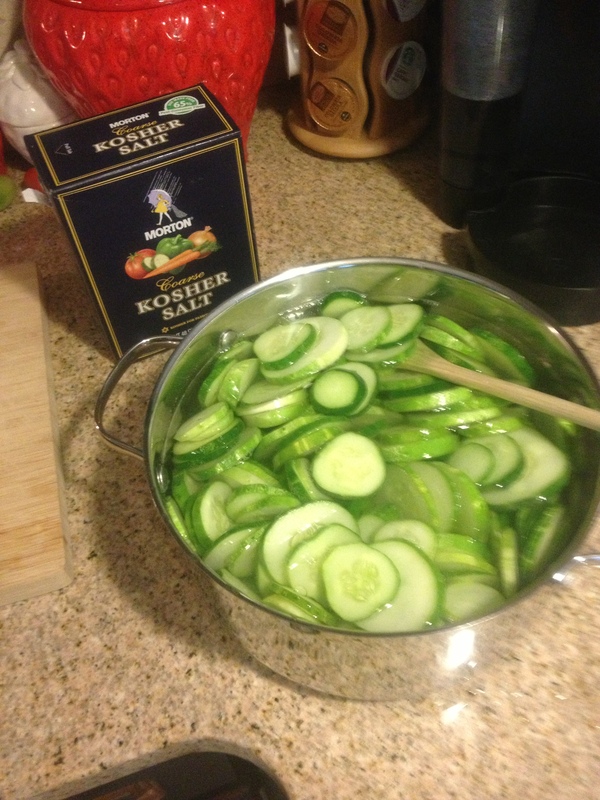 We’re also going to be pickling some cucumbers…our first attempt at this. 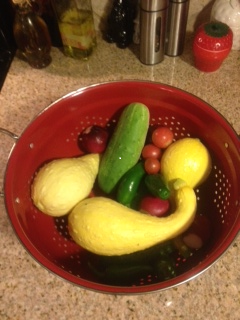 If anyone has a great pickle recipe, send it my way! Matty better be glad I think he’s the best thing since sliced bread, because I’m totally eligible to sign-up for for farmersonly.com now! Planted in this year’s garden: squash, cucumbers, jalepenos, yellow bell peppers, sweet peppers, butter lettuce, brussel sprouts, collard greens, 4 varieties of tomatoes, onions, and radishes. I will post recipes as we continue to harvest, cook, and can! All you gardeners out there, please feel free to share your secrets! Eating: Brussel Sprouts, green beans, and black rice. Random fact: I always wanted braces as a kid even though I had no need for them.